Hello lovelies! Today will be my first time ever blogging about Breakfast and Healthy lifestyle post. I don't seem to be a girl who loves sports or healthy balance lifestyle. One main thing is because I was simply lazy and tired. But breakfast to me is one of an important role and meal in my life. I am glad that I take part in this 7 Days Breakfast Challenge with Dutch Lady to find out that the importance of breakfast and Milk! 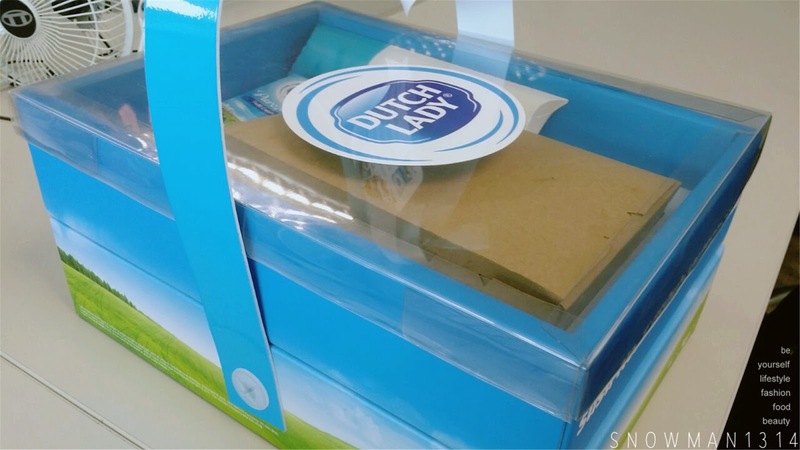 My Day 1 surprises breakfast box from Dutch Lady! I am really thrilled and excited when I received this box. Even my colleague is curious and asking what is this. 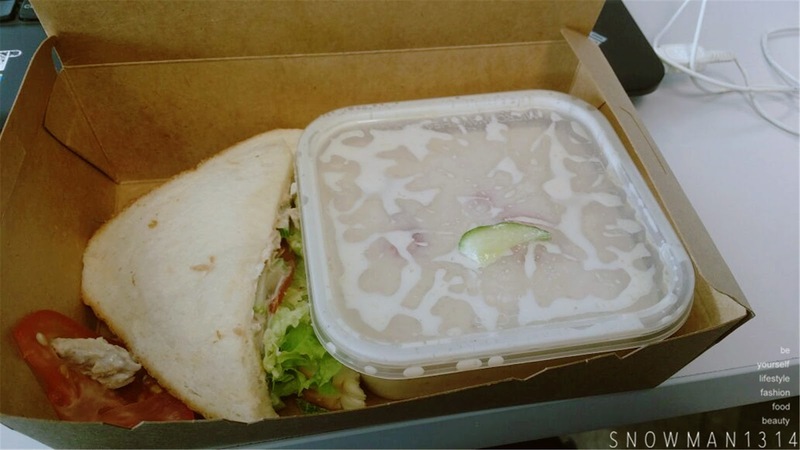 My Day 1 Breakfast challenge set is a really healthy meal. 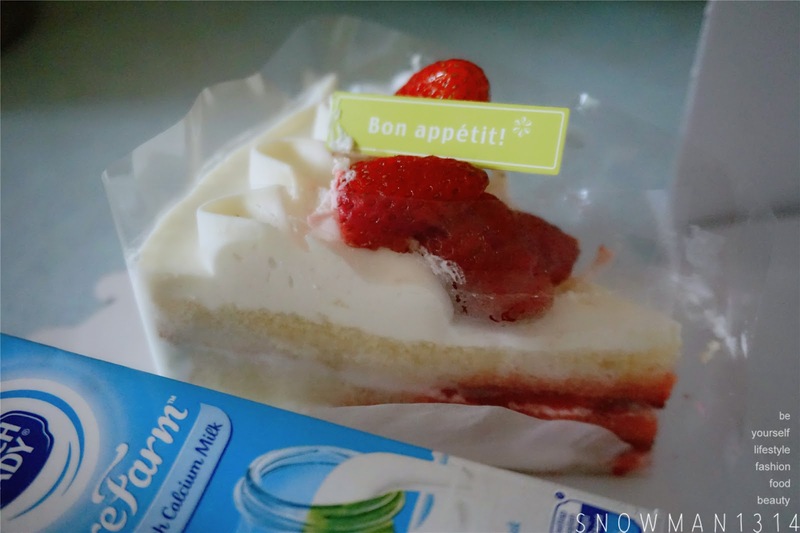 Sandwiches and Oatmeal mix with berries, not forget I have Dutch Lady Full Cream Milk along with the set too. The meal was definitely the healthier and full filling breakfast meal I ever had. I did eat breakfast every morning since we cook breakfast every day. Now with Dutch Lady Surprise Box I can have the choice to choose between Full Cream Milk or Low Fat High Calcium milk to drink! Knowing that breakfast is important as it helps the body regulates itself after an overnight fast. A glass of Dutch Lady PureFarm milk can help to provide at least 275mg of calcium in the morning. Malaysian are not getting enough calcium from our daily food intake. We prefer Coffee over Milk to help us stay awake and focus on our work. Even kids nowadays do not have adequate calcium intake. My Day 3 Breakfast Challenge with Tiger Biscuit which was the perfect milk cookies eat with milk! 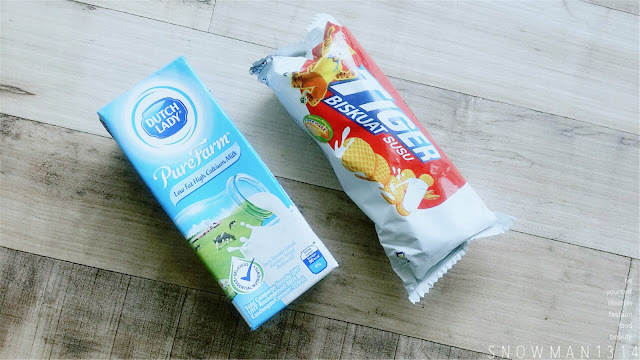 I use to love eating Tiger Biscuit with Milk. It was my everyday breakfast and combo when I was a kid. Milk contains a range of essential nutrients such as Manganese, Phosphorus, Selenium, Calcium, Protein and Vitamins C, D, A and B. As you must know Milk is the motherlode of calcium, it helps children to develop strong bones and teeth. I love drinking milk when I was a kid! It was our everyday booster before going to school. As I am growing up, I stop drinking milk and replace milk with coffee instead. But coffee is not much better than milk as I am sensitive to coffee and it just makes me feel hyper. Soon I stop drinking coffee, will grab one when I am really tired and worn out in the morning. My Day 4 and Day 5 was really simple with Bread. My breakfast never really been fancy or heavy, we ate bread, cake and light food in the morning. It's just my family style of breakfast. Recently my mom start to drink back milk too! I am the one who suggests to her to drink milk since she is kinda over addicted to Coffee which is not good for her Bones and Health. As you all must know, Dutch Lady PureFarm is also rich with essential nutrients - some of which our bodies cannot generate on its own. Proteins, which plays one of the important roles in our growth and development, such as the building of bones, muscles, and tissues. Vitamin A is crucial for healthy eye function, Vitamin B2 supports cellular functions that transform food to energy and Vitamin D3 aids absorption of calcium and phosphorus. 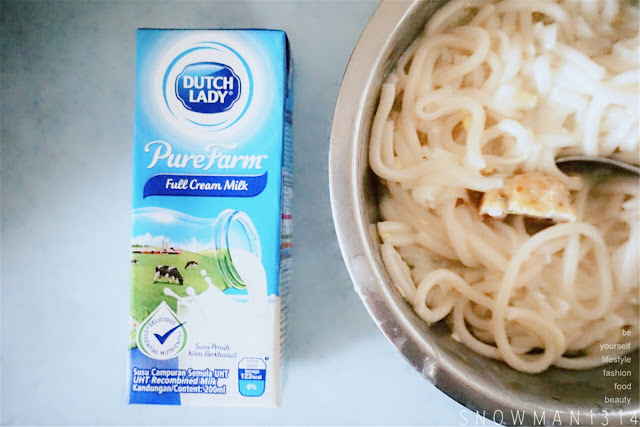 I love Dutch Lady PureFarm milk which has the Full Cream Milk and Low Fat High Calcium Milk to choose! Can't tell you guys which one I prefer, I mean both of this milk has their own goodness and rich in calcium too. 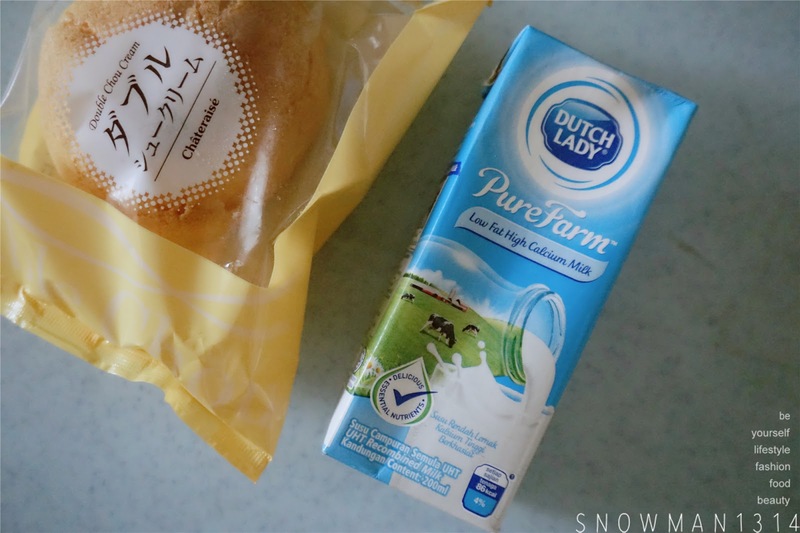 Both the milk taste really good and love the creamy milk taste of the milk when I first drink it. I ended my 7 Day challenge with my favorite cake from Chateraise Patisserie!! I realized that I have the love for Milk Desserts. It was such a creamy, smooth and delicious desserts to kick start your morning breakfast. 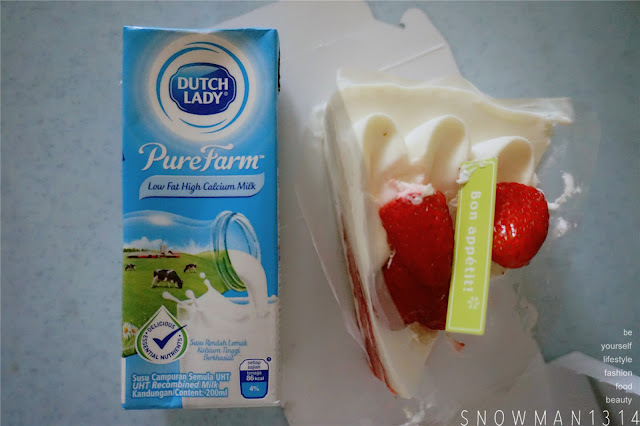 Thanks so much again to Dutch Lady so that I have the chance to try out the goodness of the Dutch Lady PureFarm Milk! 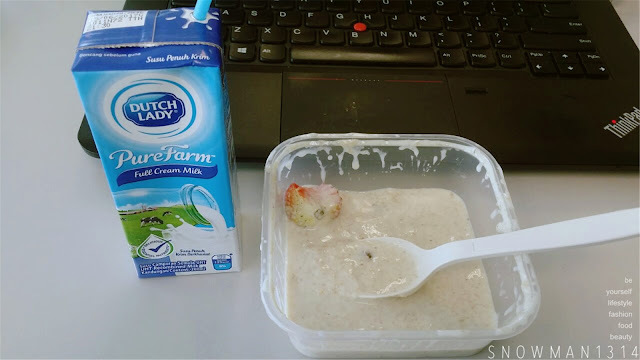 Can't agreed on much that Dutch Lady PureFarm was definitely the No.1 Milk for Breakfast in Malaysia. After this 7 days challenge, I definitely will continue my Milk Challenge! Dutch Lady PureFarm comes with a total of 5 different flavor and taste suits to everyone liking! 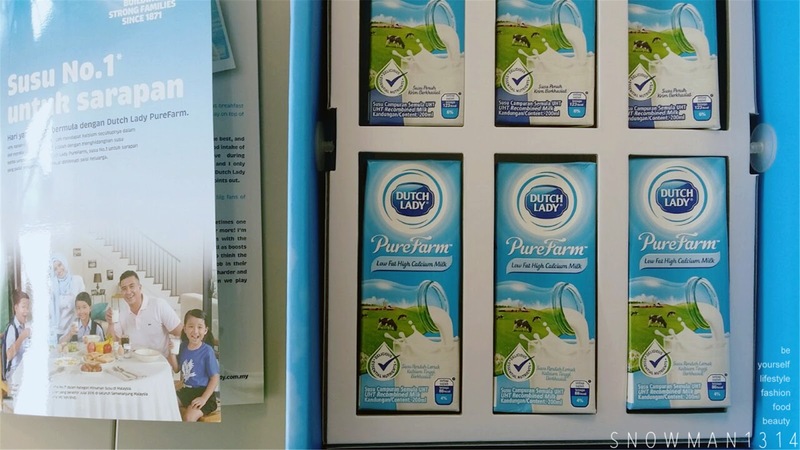 So be sure to try out these flavor of Dutch Lady PureFarm milk too. I just got myself the Chocolate flavored because I am a chocolate fan. "As the saying goes, a family that eats together stays together. Having calcium-rich milk at Breakfast not only fortifies my family physically, it gives us the time to talk to each other and share a dose of family love before we start our day. I try to provide my family with the best. That is why my wife and I only trust Malaysia's no.1 milk, Dutch Lady PureFarm for our family" says the ambassador of the Dutch Lady, Aaron Aziz. 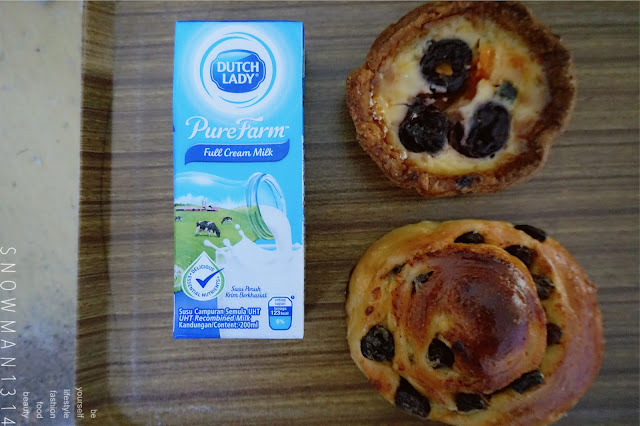 What are you waiting for, include Dutch Lady PureFarm Milk in your Breakfast and Enjoy family bonding time while enjoying the goodness of Dutch Lady PureFarm milk! I drink milk(powder) at night before sleep. Now your milk + breakfast combination looks so healthy & yummy. I drink a glass of milk a day but have not found the time to do so because of my travelling schedule. Need to buy these packets so that I can drink on the go. Dutch Lady is my go-to breakfast choice whenever I'm late to class! Love your breakfast selection, they are so healthy! I will start drinking milk. Wanna be more healthy. i love Dutch Lady milk!!!! Always is my breakfast choice!! Cheers to Dutch Lady Milk! Dutch lady is a trusted brand. I also use this product in my home sometimes. 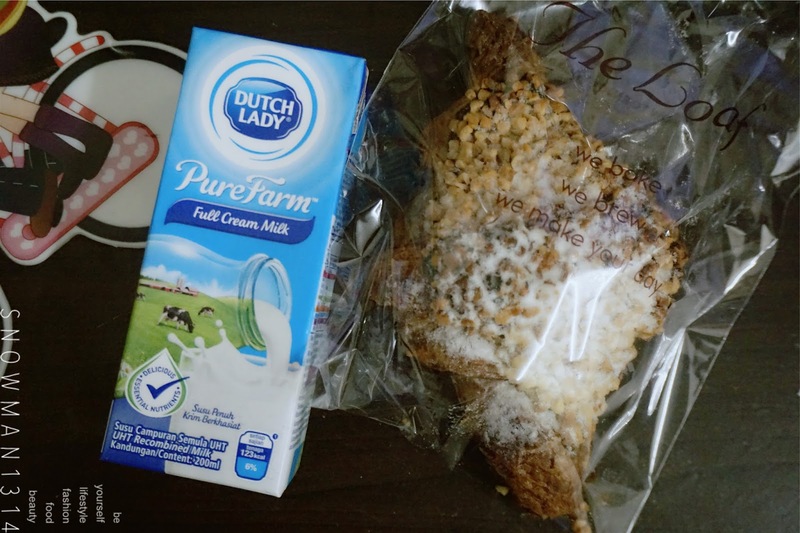 Dutch Lady milk is healthy. Good to remind me to have breakfast daily. 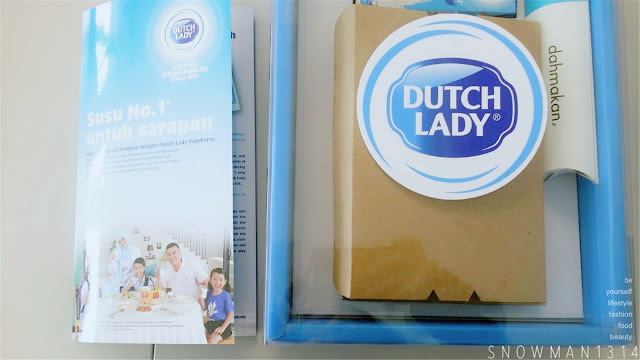 Dutch Lady Milk always my no.1 prefer milk. I have been drinking milk since I was teenager.